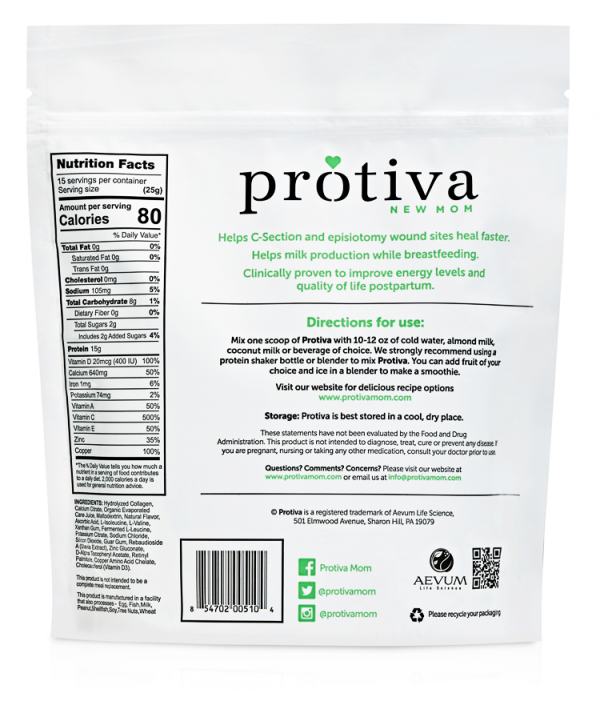 Childbirth and all that goes with it can be hard on a woman's body. 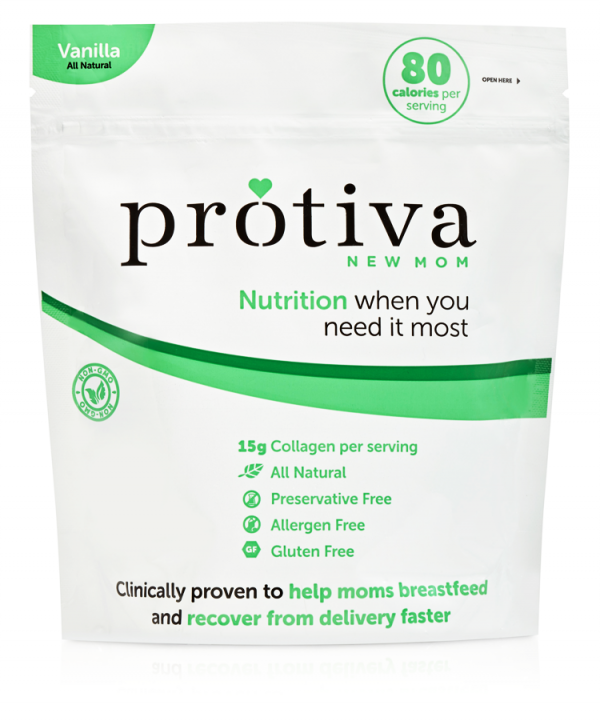 Protiva New Mom's combination of collagen protein and postpartum nutrition significantly decreases the time it takes for delivery-related wounds to heal. 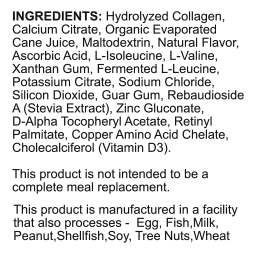 A lot of demand is put on a woman's body in the weeks and months after she has a baby, sapping nutrition and having an effect on milk production. Protiva New Mom's nutrient-rich collagen helps to maintain or improve milk production. Clinically tested and recommended by physicians, midwives and doulas, Protiva New Mom is the first and only collagen nutrition to combine a patented formula that is safe, effective and trusted throughout the medical community.